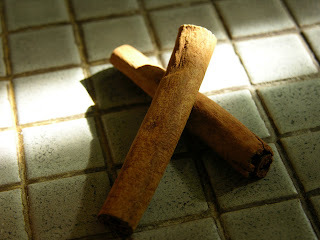 Alpha Cook: Fall Spiced Cider: So easy, a zombie could do it! 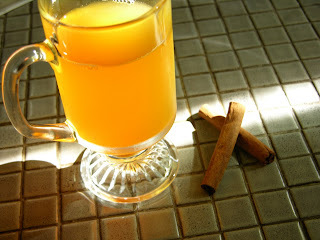 Fall Spiced Cider: So easy, a zombie could do it! The leaves are finally turning in Northern California and it's actually starting to feel like Fall in Emeryville. The only thing better than football and beer, besides football and cheese fries, is Sunday football and hot apple cider. This recipe is simple and you probably have most of the spices on hand already; you'll only need to pick up a jug of cider. It will also make a great "soft" beverage for your Halloween guests this Saturday. Put all ingredients in a medium sized pot and simmer gently for 20 minutes with the lid on or halfway on. Serve immediately in a heatproof glass.